This time of year, it’s tough to motivate for an indoor lap swim session. So throw those strokes outside. Just follow these pro swim training tips to stay safe. Open-water training is a little more challenging than people imagine. But that doesn’t mean it’s not well worth the rewards, namely a full-body workout in the fresh air. 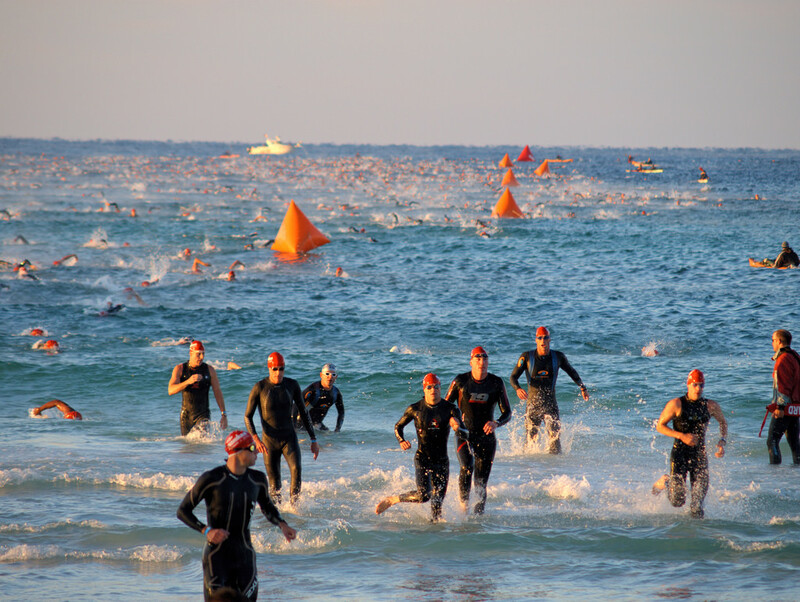 Various athletes take to the open water in warmer seasons. Regular lap swimmers may want to transition to a lake or ocean for the summer. Triathletes head outside to practice for race day. Even athletes new to the sport may consider open-water swimming a more adventuresome challenge. They can all benefit from some pro tips on how to swim safely outside. We caught up with Rachel Petersen, the aquatics director at SwimLabs in Highlands Ranch, Colo. SwimLabs has locations in nine states, including four in Colorado. The training facility teaches all ages proper technique and is also an official training center for the Ironman triathlon series. 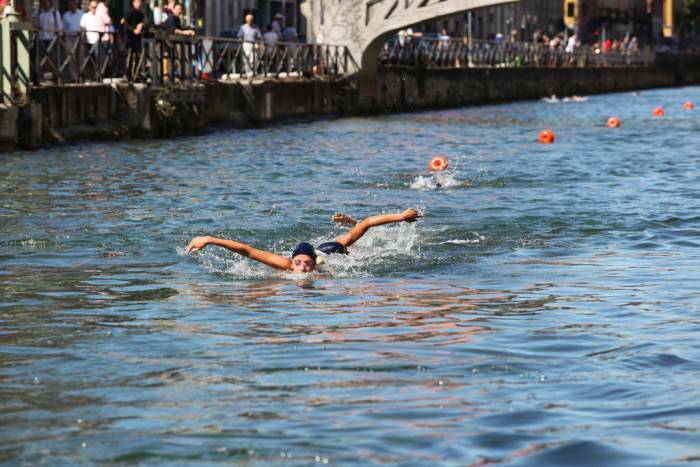 Petersen has tackled several 10-kilometer open-water swim races. She likes to swim with a buoy when she trains alone. Below, she shares some other outdoor swim training safety tips. With the popularity of triathlons and open-water swimming, most cities have open-water swim groups and triathlon clubs. These have designated spots and times to swim. It benefits the community if you join in during those times instead of going rogue. Note: Once you become obsessed with swimming and start training for longer swims, ask around to identify bodies of water that have more time availability. At a minimum, you will need a swimsuit, goggles (for multiple light conditions), a bright-colored swim cap, sunscreen, and a water bottle. Wearing a wetsuit is a matter of choice. Swimmers who value the English Channel swimming rules wear only a swimsuit, cap, and goggles despite water temperature. Triathletes who value the wetsuit’s buoyancy and slickness will wear one until the race prevents them (if water temperatures rise above 85 degrees). Note: Chafing blockers like Vaseline and Trislide are essential with a wetsuit. Companionship is especially important if you are new to the sport. Friends can encourage you to swim farther and can also provide needed mental and emotional support during the swim. But sometimes, a swim buoy is a friend. When you’re solo, clip one on and let it float behind you as you swim. Stop and hug it if you start having issues. You can also do a kick set with it. Plus, personal buoys often have attached dry bags, so you can put your wallet and snacks in there during your swims. If you have to go it alone, tell someone where and when you’re swimming. The in-water survival window is shorter than 127 hours. Petersen told us that thinking about the element of water is the only way she can spend hours on end in it during a long race. It never feels natural to load up on water before or after you train in the water. But it’s just as important to drink fluids for outdoor swimming as it is for other endurance activities. Hydration and recovery is a process. Learn what your body needs as far as electrolytes, sugars, carbs, fats, and proteins. Each season, Petersen’s goal for the first open-water swim is to get in and get wet. If you start early enough and the water is cold, try putting your face in and swimming 20 strokes out and 20 strokes back. Gradually work up to longer distances to ensure success. As you get into a routine, rotate through different technique goals each week. Focus on different aspects of the stroke: reach, catch, pull, finish, rotation, kick, side breath, and sighting. How you swim dramatically impacts how far and how fast you can swim. In open water, you need to sight for landmarks to stay on track. Often, people lift their entire head out of the water. But when your head comes up, your hips drop in the water, which is a tiring and inefficient body position. It’s more productive to look forward just enough so that you’re holding your breath or exhaling, with only your eyes exiting the water. Swimming outside, you’re bound to encounter living creatures: fish, marmots, weeds, coral, etc. If something swims underneath you and you freak out, focus on catching your breath and calming down. Once you feel like your heart rate has returned closer to baseline, swim at least 20 strokes out to build up the mental stamina to overcome these small issues. Freestyle is most swimmers’ go-to stroke because it’s fast. However, if you feel panicky, switch to a float or stroke that will help you calm down. Try flipping on your back and spreading out your limbs. You can also tread water vertically and do an eggbeater or flutter kick with wide amplitude. Or, try some elementary backstroke (or even unconventional breaststroke), breaststroke pull, or flutter kick. Also, practice exhaling slowly into the water and catching your breath with a side breath. Often, swimmers have more flexibility, and therefore a more efficient breath, on one side than on the other. However, don’t get too comfortable relying on that, as the sun might be shining on that side during a race. There is a debate about bilateral breathing. But it’s worth exploring whether to breathe every three strokes (both sides) or every two, then four (same side). Just as Yellowstone has its tips — don’t feed the bears — swim areas may have best practices to help you stay safe. 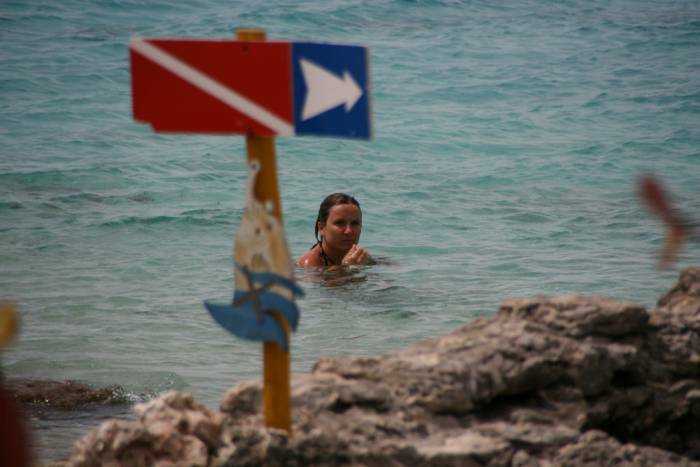 For example, if you’re swim training while on vacation and see a sea-urchin warning sign, read it fully. Those hurt to step on. Also, know what to do with ocean tides and currents. 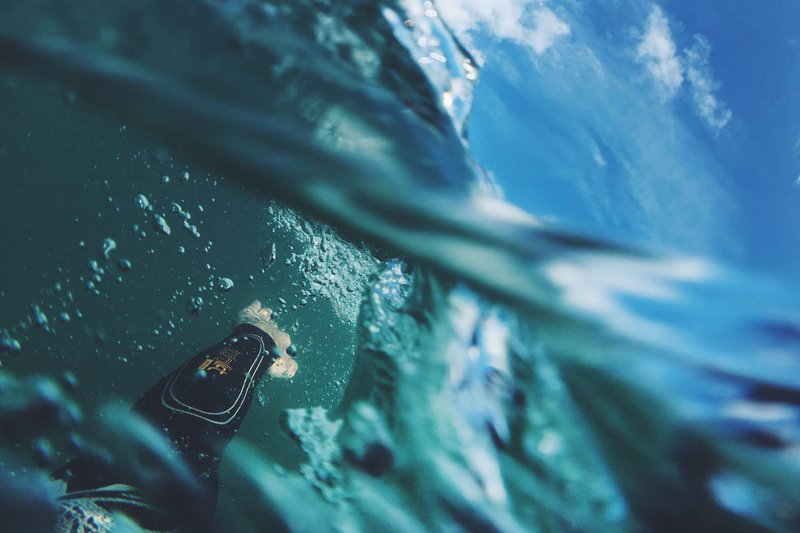 With open water, there’s always an element of “swim at your own risk.” So know what those risks are.